Oldsmar is one of the most charming cities in Florida, thanks to its founder – Ransom Eli Olds – who made every effort in undertaking precise city planning that is comparable to that of the U.S. capital, Washington D.C. This breakthrough landscaping has been instrumental to the popularity and improvement of Oldsmar Real Estate. Perfectly occupying the space between cities of Tampa and Clearwater, Oldsmar's location has made it practically accessible to great sights and scenes in the heart of Florida, including the Gulf of Mexico and Lake Tarpon, bigger towns, dining and shopping hubs, waterways, and nature reserves and green parks. Visitors and residents of Oldsmar Homes for Sale are always delighted to tour around the city, doing fun family activities and visiting beautiful places around the city. Real Estate in Oldsmar has become a mixture of old and new homes as newer constructions start to erect along luxury homes and single family homes. Many people look into a variety of available Oldsmar homes for sale, looking for homes that are both classy and budget-friendly. But one reason why Oldsmar real estate has become very popular is still the convenience offered by the city. For instance, there is an oil well located at the Tampa Bay Downs Racetrack. More jobs were also recently opened, thanks to Nielsen Media Research, a world famous organization in charge of quantifying TV rations, which established an office in Oldsmar and started employing both locals and tourists. Don't miss out on the many options awaiting you together with the blooming Oldsmar real estate. Let us help you find your dream home! Contact us today and schedule a meeting with one of our real estate brokers. The city's various small and big parks have contributed much to its popularity, especially among tourists who find relaxation in green fields. It has been known for its recreational parks that make up the landscape surrounding Oldsmar homes. The 15-acre R.E Olds Park is the biggest park in Oldsmar, sitting by the shores of Tampa Bay with one of most breathtaking views in Florida. This is the very same area where the famous Oktoberfest and the Days and Nights are held. When the climate is nice, residents of Oldsmar homes populate the lawns of the park. The 400-foot fishing jetty, the playground and some well-designed shelters, among other features of the parl, are real attention-grabbers to both locals and tourists. Another famous park that's part of Oldsmar real estate is the Canal Park Sports Complex, a sports stadium that spans 37 acres of football field. The park is home to the Oldsmar Little League baseball and softball teams, Oldsmar Falcons football team and young soccer groups. The park continuous to add new amenities and the latest development is the brand new BMX facility with lights and sounds system. 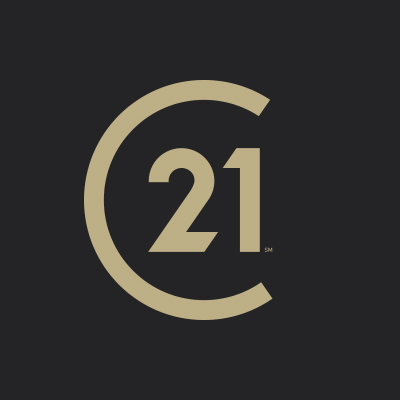 Century 21 East Lake Realty and Leasing is your no. 1 real estate consultant when it comes to finding luxury Oldsmar homes for sale with prices ranging from $850,000 to 2 million. Our real estate brokers have gained remarkable experience in helping homebuyers in Oldsmar City find their dream homes. Century 21 East Lake Realty and Leasing strongly recommends that when looking for luxury Oldsmar homes for sale, one must look beyond the resort style swimming pool, the state-of-the-art gourmet chicken, the wine cellars, and spa and jacuzzi areas. We advise homebuyers to also see the amenities and centers available in the community as these are very important to complete your living experience. Oldsmar real estate also offers plenty of single family houses, townhomes, and condos, amongst luxury homes such as mansions and penthouses. Most neighborhoods features pools, spas and tennis courts especially designed for homeowners. Based on these community facilities, residents of Oldsmar homes for sale are required to pay association fees from $200 to $700 per month, an amount that covers the neighborhood’s security and maintenance. The East Lake Woodlands Country Club has made golfing in Oldsmar a famous activity with its 36 professional holes on a 4-hole course, complete with a driving range and a prep area. This golf club implements strict rules such as only golf carts are allowed, a 90 Degree Rule is always upheld, Course Care education, Medical Blue flag for members with medical issues, and members and guests are prohibited from walking, jogging or riding their cars across the course. Members of East Lake Woodlands Club are granted various privileges including being able to stay at more than 200 associate properties worldwide, use the fitness facility, tennis court and pools for free, practice golf at any time at your own pace, and enjoy in-house happenings such as the Casino Party, Lobster Feast, and the Greek night. Florida is known for its famous beaches and Oldsmar has its own line up of must-see gulf beaches. The famous family park, Fred Howard Park, is 15 minutes’ drive away in Tarpon Springs. The park spans 155 acres of green paradise facing the Gulf of Mexico. The park is promoting a great environment where an abundance of flora and fauna, including dolphins and manatees, is preserved by the local Oldsmar community. Some of the activities in the park are sunbathing, fishing and jet skiing. The park also has direct access to the Gulf of Mexico. The Honeymoon Island State Park also has a beach situated in Dunedin. For residences and tourists with vehicles, parking is found at the opening of the causeway. The beach faces the Gulf of Mexico while a dog beach is also available for your favorite pets. Things you can do here include picnic, swimming and fishing. Finally, about 40 minutes away from Oldsmar is Clearwater Beach. This is the beach with the most visitors every month as it sports a beautiful beach and invigorating night life. There are also many spacious Oldsmar homes for sale, offering condominiums and huge family homes. If you are interested in constructing a home in Oldsmar, you should know that it is both fun and challenging. Custom home prices may range from $600,000 to $1M plus, depending on the size and style of your home. The relatively high price is caused by expensive construction materials and labor rates in Florida. If you are thinking of constructing a luxury home, the price may increase as much $3M. Unless you are ready to spend as much as this amount, we recommend that you buy a home that is already constructed. Although you are in control right from the start when you construct your own custom home, it may result in you getting more bills than you expected. As more people desire to settle in Oldsmar, it is hard to look for a vacant space or a spare lot to build your new home. When you decide to buy a new Oldsmar home for sale, you save yourself from the hassle of finding a lot, and from paying extra labor and material expenses. Ramson Eli Olds is the founder of Oldsmar who purchased and named the city R.E. Olds-On-The-Bay. The name was changed to Oldsmar and then to Tampa Shores, then back to Oldsmar in 1937. Oldsmar used to be a silent little town in the sunshine state. Today’s Oldsmar is very different from what it used to be as it continued to increase its population for more than eight decades now. Originally planned similar to that of Washington D.C., the city was planned as a small scenic tourist destination packed with small shops, restaurants, galleries, stately homes, and vibrant events. Through the years, the city has expanded; however, it retained its old world charm despite the hassles of the city. Oldsmar City is nice to visit at any time of the year. When checking out Oldsmar real estate, it is important to know the occasions and events that go on in this part of Florida. The 3-day "Days and Nights" is a popular festival that involves families in Oldsmar where there are car shows, arts and crafts exhibitions, live music, parades, carnival rides, gourmet food etc. This festivity is held against the background of the Tampa Bay at the R.E. Olds Park. During October, the Oktoberfest rocks the city. A typical German occasion, residents of Oldsmar real estate get to experience German culture and the annual tradition of food festivity, drinks and music. There are midways and carnival rides, Bavarian Folk Dancers and a number of contests that requires audience participation for all families to enjoy. · With cozy cafes, you can go restaurant-hopping and choose from Latin American, Continental and Italian cuisines. You can also go casual dining at favorites like Jack Willie’s and Georgia Boy’s Barbecues, or Alberto’s Italian Grill and Eve’s Family Resto. · With various small shopping centers, you can go shopping for your favorite furniture, home improvement products, jewelry and trinkets, and even groceries. Westfield Citrus Park Mall is the biggest, located in Tampa. On the other hand, Westfield Countryside Mall in Clearwater is also a crowd-pleaser. Both of the malls are 10-minutes away by car from Oldsmar City. · For all your kitchen needs, the Oldsmar Flea Market is the biggest in Florida. It has various centers where many local businessmen do transactions. · With places like AMC movie theater, Tampa Bay Downs Racetrack, and the East Lake Woodlands Golf and Country Club, Oldsmar is the perfect place for night-lovers.